Neat stat! How many of the other top 10 youngest pole-sitters went on to get a spot among the oldest? My gosh I SO want Kimi to win. Very excited! No win for Kimi. That breaking was way too early, and Hamilton caught him. Yes, his tyres were shot, so Ferrari needs o address this issue. the only problem was Vettel losing 2nd place at the start. It compromised all the other things, like Kimi being held up by Bottas and having to push way too hard on his tyres. Honestly gutted for Kimi, though my main question is why he felt the need to push so hard after he pitted when it became very clear that he was already going to be ahead of Hamilton? Not only did that take a lot out of his tyres, it meant he caught Bottas a lot faster too, falling into the trap of the 2 Mercedes that ultimately ended his chances of the win. Same here, really wanted the win for kimi. The man drove well but the call to push really wasnt needed as his pace was good.... As you mentioned the fact that he caught bottas too soon was what ultimately did him in. Had he just fallen back a bit his tires would have survived maybe even held on for the win. But great race none the less. Kimi is just not good enough anymore. Today was an open goal. Vettel was at the back of the pack and out of contention, and Kimi still failed to win. He won’t get a better opportunity than this for the rest of his career. Honestly reckon bad advice from the pitwall is to blame here. Why let him use his tyres up like that so early in the stint when it was obvious he already had Hamilton covered? Kimi kept pushing and hustling Bottas even after Hamilton came out of the pits 7 seconds behind him. That’s on him. Also, his defence was really weak. I don’t care if his tyres were worn, a driver like Verstappen would have never surrendered the lead as easily as Raikkonen did. He finished only 7 seconds ahead of Vettel in the end, despite Vettel being in last place when the SC came in with a damaged floor. Raikkonen is just not good enough. Weak racecraft, weak tyre management, and weak race pace. What do you expect Kimi to do? He was always going to catch Bottas and when he caught him the overtake was essential. Vettel was still lapping quicker than Raikkonen and finished only 7 seconds behind him, this much damage to the floor. Raikkonen is just not good enough. I reckon that if Vettel was leading, he would have pulled a 3 second gap to Hamilton and got him out of his undercut window, like he did in Belgium. Also, that attempt at "defending his position" was pathetic. Could you ever imagine someone like Verstappen surrendering the lead that easily? "Ferrari had to act in the 20th round. Otherwise Mercedes would have brought Lewis Hamilton to the pits and tried an undercut. Hamilton's tires were already ready. Therefore, one can not speak of a faked pit stop at Mercedes. The timing of the tire change dictated the distance to Romain Grosjean. Neither Raikkonen nor Hamilton wanted to fall behind the HaasF1. And there was a big gap between Grosjean and Bottas, so you could pace for a few laps without getting into traffic. Only then could an undercut work. Mercedes team boss Toto Wolff admitted after the race in the driving report : "If Ferrari had stayed outside, we would have stopped. We told Lewis that we do the opposite of Kimi. "The strategists in the team agreed," Ferrari did everything right. We would have done the same in their situation. " Ferrari could not play poker. The distance between Hamilton and Raikkonen was less than a second. It was all about the question: Who makes the first move? Had Hamilton stopped earlier, Raikkonen would have been his lead already there. For Raikkonen the early pit stop was nevertheless the neckbreaker. He had to speed up on the fresh tires to prevent an overcut. That was bad for the tires. 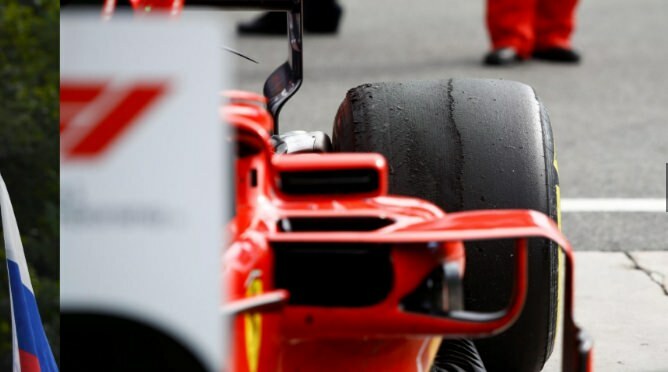 Pirelli head of sport Mario Isola said: "If there is still a lot of rubber on the tread and the car is slipping, the tires are particularly susceptible to heat tests and blisters. Especially the harder mixtures, because they do not develop that much grip. "Seven laps later, another problem was added. Raikkonen ran on Bottas, who now played the man-decker for Hamilton. As soon as Raikkonen hung in the slipstream of Bottas, Hamilton went to the pits and came back to the track with 5.3 seconds behind." "Raikkonen had to pass Bottas as soon as possible. But the Mercedes built up like a wall in front of him. That stressed the tires a second time. Once again Isola: "Behind Bottas Kimi slipped even more, and the bubble went on and on. Bubbles do not disappear like the snippets of graining. You can control and delay blistering, but not prevent it. " Hamilton wondered in the cockpit about their own tactics, although at the strategy meeting in the morning, all sceneries were played through. "Actually, I thought we would pit in front of Kimi. When Kimi had turned off, I was able to do some really fast laps. I thought to myself: The guys are trying an overcut. But then came the message on the radio that Kimi had increased his pace and thus fell out of my window. So it made sense to extend the stint to have the largest possible delta in the end. My tires were still good enough. They only brought me to the pits because Kimi had run aground on Valtteri. " The real question is why Raikkonen couldn't pull out a bigger gap than 1 second over Hamilton. Vettel pulled 3 seconds on Hamilton in Belgium and took full control of the race. He had any undercut from Lewis covered. Raikkonen is just not being fast enough. Last edited by KingVoid on Sun Sep 02, 2018 7:14 pm, edited 1 time in total. Vettel got a free pitstop and SS tyres where as Kimi had vibration and may be lucky that Max was blocking Bottas all race. Vettel himself admitted he was lucky to be P2 in qualifying and today he made a mistake as well in the second chicane. As far as I can tell Vettel has let Ferrari down today. Last edited by Mercedes-Benz on Sun Sep 02, 2018 7:15 pm, edited 1 time in total. Vettel got a free pitstop and SS tyres where as Kimi had vibration and may be lucky that Max was blocking Bottas all race. Vettel he himself admitted he was lucky to be P2 in qualifying and today he made a mistake as well in the second chicane. As far as I can tell Vettel has let Ferrari down today. Vettel did let Ferrari down, but so did Raikkonen. One of them made a mistake, the other one lacks speed and racecraft. Raikkonen isn't fast enough, it's why Ferrari had to pit him first as there was too much risk with the undercut. I'm sure Vettel would have had it covered. Different tracks. And it has to be said that Mercedes looked much more competitive here than at Spa. Having said that, I tend to agree that Vettel may have pulled a gap, as it's a particular speciality of his. He's better than Kimi, but that's not quite the same as saying Kimi's bad, to be fair. Yes, Ferrari has a driver problem, I agree. On that note did Gasly get down voted because SV objected as it seems LeClerc is now favourite to replace Kimi if he goes? It is impossible to defend when the tyres are gone. If Verstappen was in that Ferrari instead of Raikkonen, do you think that Hamilton would have taken the lead so easily? Alonso was the answer before, hopefully LeClerc will be the future answer sometime. TBF to Kimi when the tyres are fresh he's really quite fast in the 2018 Ferrari but today was not ideal as he probably won't get a better chance to win a race this year. Ferrari have to apply team orders now if Vettel is to have any chance to win the WDC this year as Kimi has really had a fair crack of the whip now. That's what you call Easily??!?!?!? Kimi was driving lights out today and only his tires and too early a pit stop by his team limited what he could do. He had Hamilton covered superbly! As a supporter of Hamilton, Kimi was for me the driver of the day! Kimi out drove even his damn tires! Why not ? Everyone seems to have made up their mind that Ferrari has a huge advantage over Mercedes here. I am not sure about that. Right from qualifying Mercedes are on par if not better, at least Hamilton. In the race it was the same there was nothing separating them apart from tyre wear. That has to be the most preposterous thing I have read on here, maybe EVER. Kimi has been one of the CLEANEST and FAIREST drivers his entire career, ALWAYS opting to avoid contact and get his work done cleanly, without punting people off the track and has avoided countless accidents because of his superior racecraft. While I'll say Vettel and Hamilton are likely the best drivers in all of F1, I am NOT a fan of their over the top tactics in forcing guys extremely wide where the driver has to either go off or make contact. Today Hamilton did not do that and it was Vettel veering towards Hamilton because he wasn't happy about losing the place plain and simple. 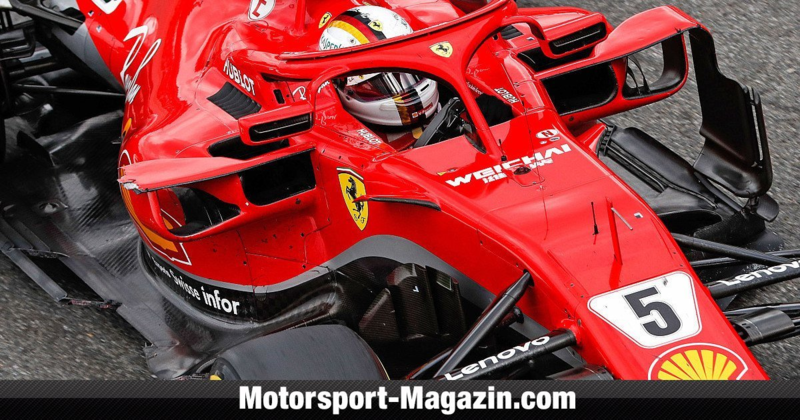 Vettel's only problem is that Mercedes have Hamilton and he needs to consider the big picture and THINK about how having the best/fastest car means he can and should let guys past cleanly and set himself to reclaim positions rather than slam the door closed in such haste as he did today. And to further showcase Kimi's racecraft, he did it correctly in realizing Lewis got the jump on him and forcing the issue could have resulted in contact so he let him by and set himself up to reclaim the position in the next series of corners, and he did just that, and rather magnificently mind you. Had Vettel done the same he'd have likely blown past Hamilton and then Raikkonen, ether on merit or via team orders. Verstappen on Bottas towards the end of the race today was poor racecraft and poor sportsmanship and if I were Bottas I'd have been in his face immediately after the race. that crap has NO PLACE in "professional" racing. Verstappen is a phenomenal talent but his lack of maturity at times coupled with his arrogance leaves me scratching my head. he's NOT in the title fight so the wise thing to do in situations like today is to minimize points lost and today he cost himself a few extra. His Radio message stating he knew he was losing time to Vettel but that he didn't care was ridiculous and had I been Christian Horner I'd have pulled him into the pits and retired him from the race! He thinks he's bigger and more important than the team and that's completely wrong. It's a team sport first and both he and the team need to always do the best for one another. Kvyat was demoted in favor of him and he has a responsibility to uphold a positive image for his team and he doens't always do that. Verstappen would have crashed into Hamilton, that's a matter of opinion if you would consider that good racing? I don't know that I agree. If Vettel had not spun the only pass for the lead might have been when Seb went around Kimi. Since Valtteri was struggling to keep up, the strategy would have been two red cars against one silver, instead of two mercs against Kimi. Seb would have managed his race pace out front while Kimi would have been used to impede Lewis's progress. At least that is what I initially expected of the race. I think you got things mixed up. Vettel has racecraft? Kimi is not as fast in this part of his career but when it comes to racecraft, Kimi is lightyears ahead. Last edited by Ocon on Mon Sep 03, 2018 1:01 pm, edited 1 time in total. No because Verstappen or Vettel would have taken Hamilton out. All things aside, this guy is a legend. Some drivers you can trust, some drivers you can't.